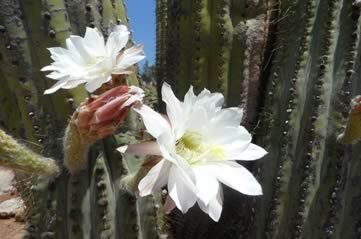 See the desert in bloom at Springs Preserve. Each Saturday and Sunday, you can take a guided tour of the Springs Preserve Botanic Gardens on S Valley View Blvd in Las Vegas, at 11am, 1pm and 3pm. Discover the natural flora of Nevada and beyond across 110 acres of floral display. ATTDT is your unique local guide to things to do, see, visit and explore in Las Vegas. From arts and culture to events and entertainment, we've got Sunday in Las Vegas covered. "Sundays are so boring!" "What's on this Sunday in Las Vegas?" "What's a great end to my weekend?" If you think Las Vegas is closed on Sundays, think again: we've got extraordinary things to do to make it a real #SundayFunday. From music to markets to modern art, open your eyes to a world of culture and creativity - right where you are - with ATTDT this weekend. Not in Las Vegas? Click on the map to find things to do somewhere else this weekend.